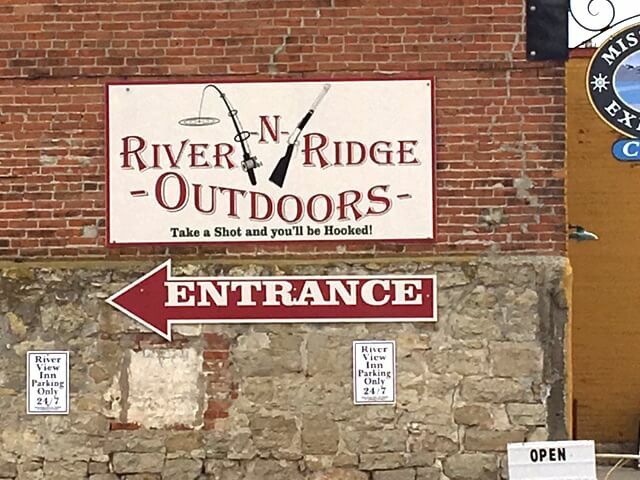 Fishing, hunting, guns and and boating supplies right on the river. Seasonal kayak and canoe rentals available with marked trail maps along Reno Bottoms and Blue Heron Canoe Trail. Explore the backwaters and Mississippi River in a kayak or canoe.